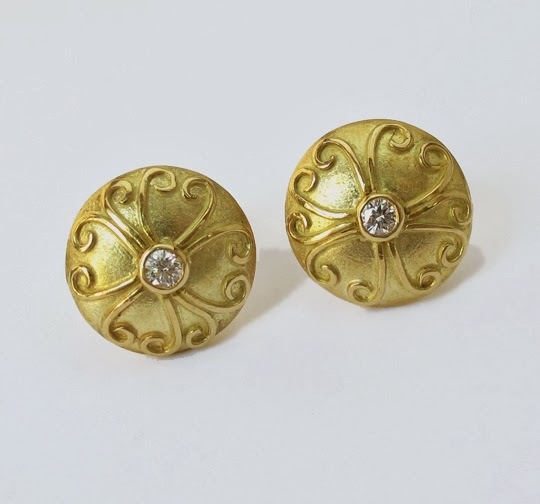 Again, I am reminded of the deeply personal nature of jewelry and the sentiment it represents. And, like many artists through the ages, a wonder of nature is the inspiration. This time it’s a Seahorse that inspired a very special pair of earrings. 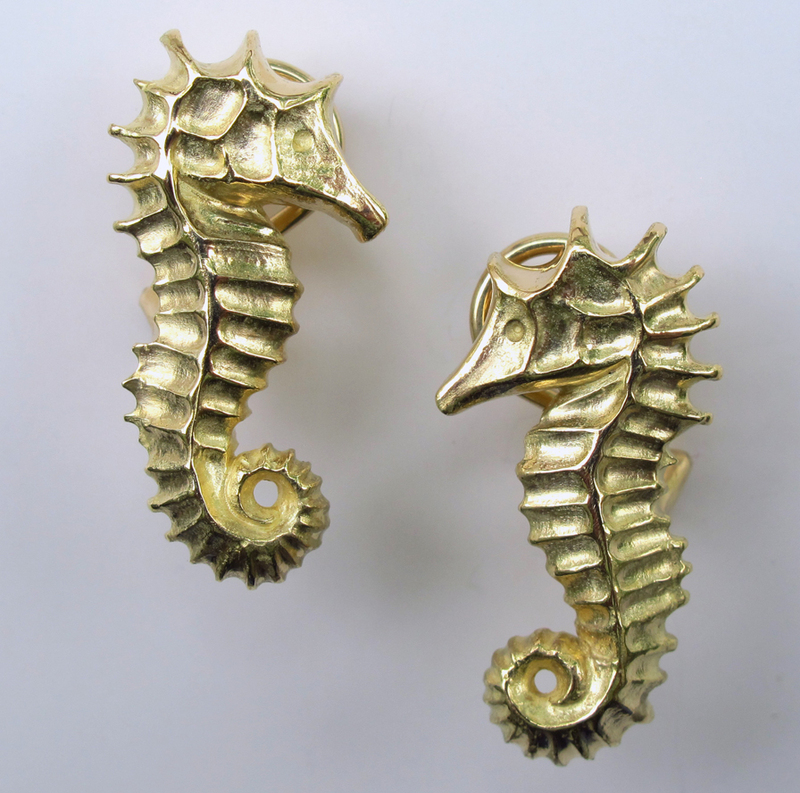 I met with a couple that asked me to create a pair of Seahorse earrings in 18k gold. 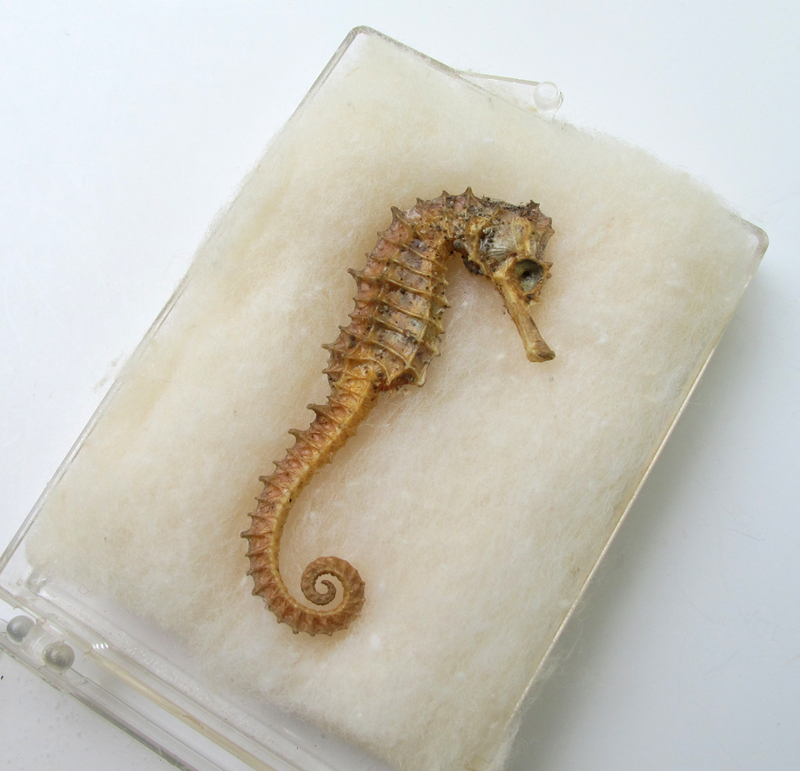 They showed me a dried seahorse that was lovingly kept in a clear plastic box filled with cotton that had yellowed with age. Now married more that fifty years, they told me the story how it had come into their possession. Both were young Americans living in Italy when they met. She was a recent college graduate, daughter of a Naval officer stationed in Italy, who traveled to be with her family. He was young man in the US Navy, also stationed in Italy, who had interrupted his career to serve his country. They met and fell in love. On a beautiful day of boating in The Bay of Naples they came upon a fisherman who asked for a cigarette and in return he gave them a seahorse- this seahorse. 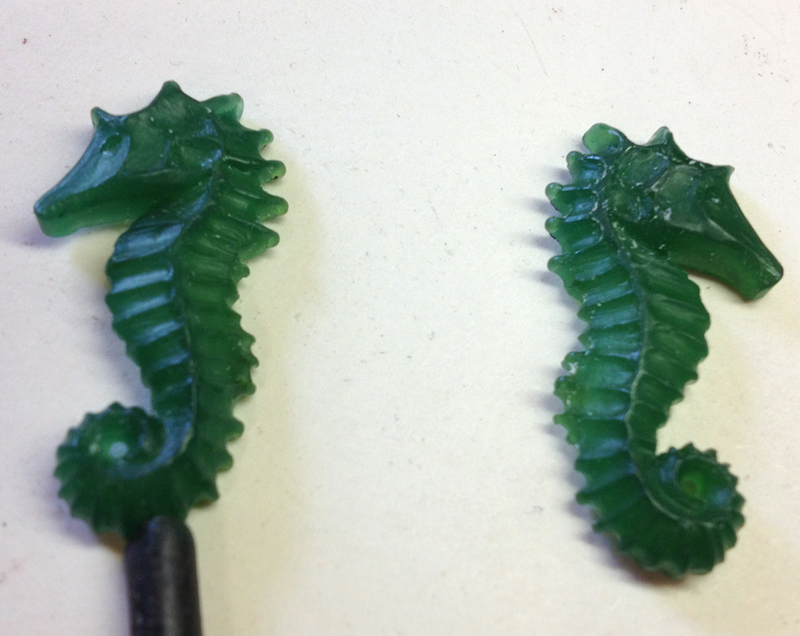 I carved a stylized version of the actual seahorse in wax. The tail and body had to be shortened yet the curve had to be prominent. Also, I compressed the nose slightly so that they would be wearable and more attractive as earrings. Jewelry, in this instance a pair of golden seahorses, becomes the tangible representation of sentiment and a symbol of a moment in time. I thank the client for bringing this wonderful project to me- it was hardly work at all.